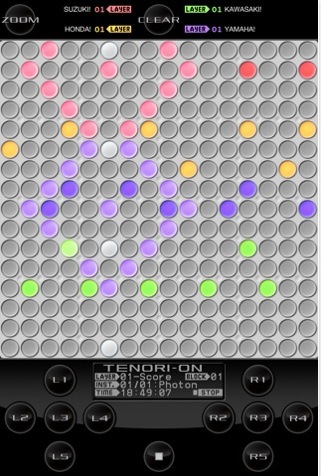 TNR-i – TENORI-ON – Yamaha has released a simulation of the Tenori-On on the iPad. works on the iPhone, too. 16€ isn’t cheap but cheaper than the hardware was/is. 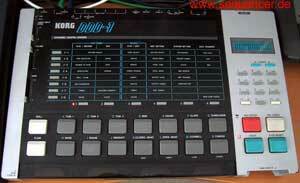 since Yamaha offer a MIDI connection kit it is very very likely it sends MIDI (iOS 4.3). since the built in sounds are quite strange I just like to check for it’s sample upload capability. official Codes: TNR-w – the original , TNR-o – the orange LED version, TNR-i – the App. There is an expensive alternative is this 32€App the Aurora Sound Studio.